Finally the wind has subsided and although it wasn't joined by an influx of migrants, it did provide much more pleasant conditions for birding. The gardens nets were finally opened and showed that Chiffchaffs were on the move with 13 trapped through the morning (including a Jersey ringed bird) and a further seven distributed through the obs area. 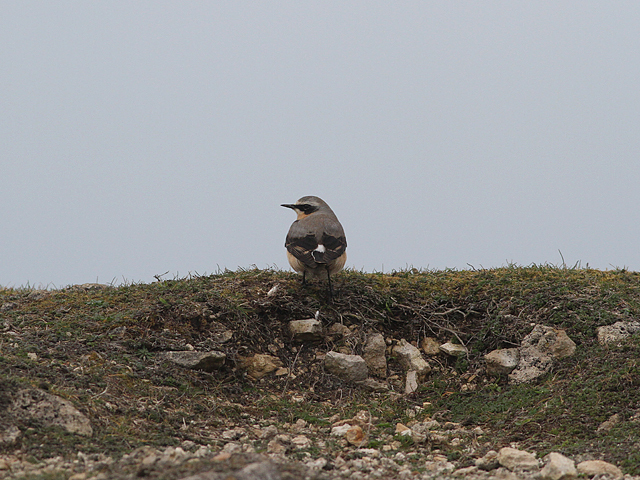 Only two Wheatears were recorded at the South end of the island but a further three were at Reap Lane. Meadow Pipits and alba Wagtails were still on the move but in slightly lower numbers with 67 and 15 respectively. Other passerine migrants included a single Swallow through the West Cliffs, a pair of Black Redstarts and five Song Thrushes. 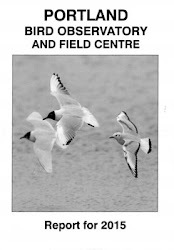 The sea was unseasonably quiet with just four Common Scoter and two Red-throated Divers.